A Popcorn Bar, Yogurt Bar and Cake! 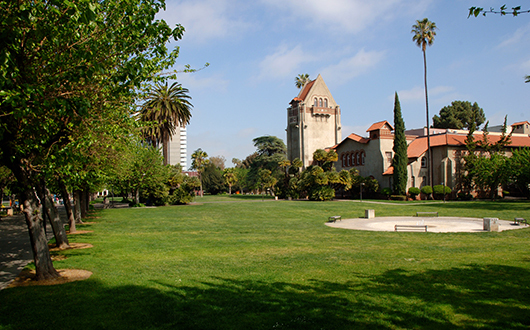 Join the celebration noon Sept. 10 on Tower Lawn as we thank donors for giving $200 million to SJSU. From the University Library to Athletics, EVERY area of campus was touched by Acceleration: The Campaign for San Jose State. Here are 10 reasons to join us at noon Sept. 10 on Tower Lawn as we thank donors for giving $200 million to SJSU. 1. We’re offering free refreshments and student entertainers including Pitch Please, the SJSU Gospel Choir, Pride of the Pacific Islands and Grupo Folklorico Luna y Sol de SJSU. 2. $74 million was raised to support our faculty members. 3. 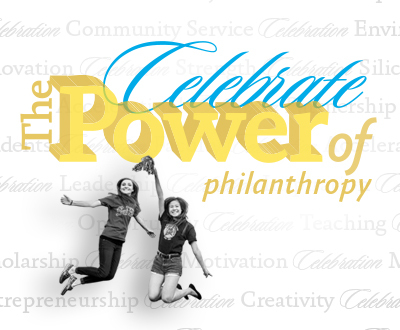 More than $53 million was contributed to student scholarships and fellowships during the campaign. 4. $17.3 million was contributed to facilities such as labs and smart classrooms. 5. More than 30,000 donors contributed to the Acceleration campaign. 6. Nearly 17,000 donors—55 percent of the total number—made their first gift EVER during the campaign. 7. Spartans Supporting Spartans (the annual faculty and staff campaign) raised $134,000 in just two years. 8. Donors make it possible for SJSU engineering students to compete in the Concrete Canoe competition. 9. Thanks to donations, the Valley Foundation School of Nursing’s Simulation Lab enables students to practice caring for patients in real-world simulations. 10. And last but not least, we received two airplanes—yes, airplanes!—during the campaign.